The American Kestrel is North America’s smallest and most colorful falcon. They are easily spotted perched on power lines, bobbing their tails in the breeze. They are known for their ability to hover like a helicopter while hunting for mice and insects. But these beautiful birds are in trouble. Their populations have declined by nearly half over the past 45 years and no one knows why. 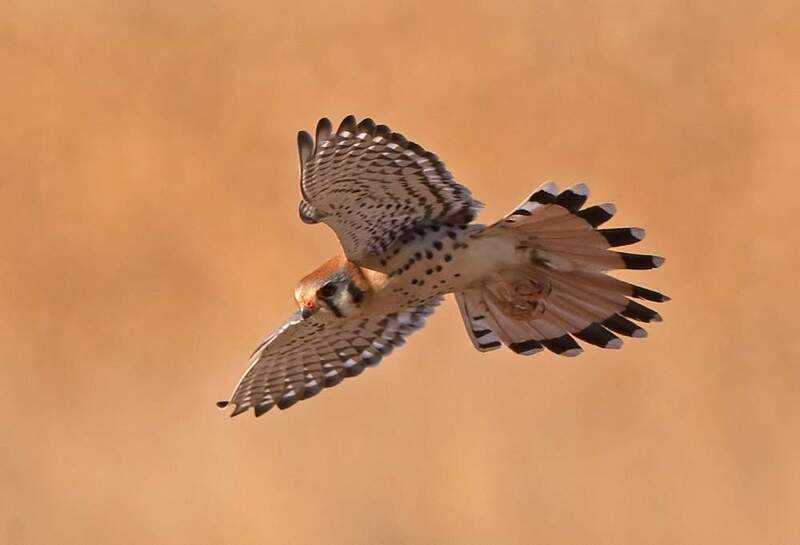 Once one of the most common and familiar falcons in North America, American Kestrel populations in the United States have dropped by nearly half over the last 45 years. Known declines are worst in the Northeast, where there are losses up to 88 percent in some areas. Many hypotheses exist as to what could be the cause of the decline, including changing land use, competition from European Starlings, predation by Cooper’s Hawks, toxins like pesticides, or climate change but none of these explain the pattern of slow but steady decline over decades. To truly solve the mystery and recover the American Kestrel before it becomes an endangered species, we’re taking a scientific approach to ensure that we don’t lose precious time by chasing the wrong theory. 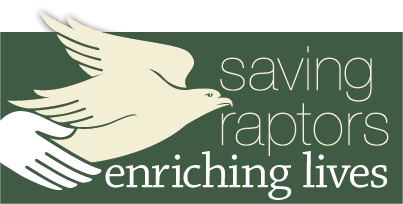 The first step we took in solving the mystery of Kestrel decline was to launch the American Kestrel Partnership. This project brings together citizen scientists and professional researchers to create the largest kestrel research and conservation effort in history. We use information, such as banding encounters and the nesting data collected by citizen scientists to investigate, understand, and address the issue. 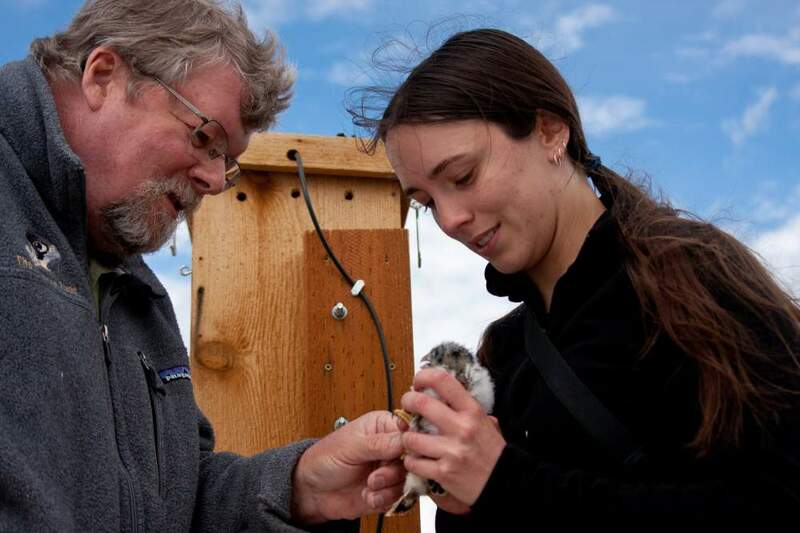 The Peregrine Fund is working closely with other experts, such as researchers at Boise State University, to develop a life-cycle model of the American Kestrel. This computer analysis will look at factors affecting population growth and assess any gaps in knowledge of the species. This work will guide the direction of our nest box program to test hypotheses and determine which ones to pursue. The second step is to develop a migration map using DNA extracted from American Kestrel feathers collected across North America. 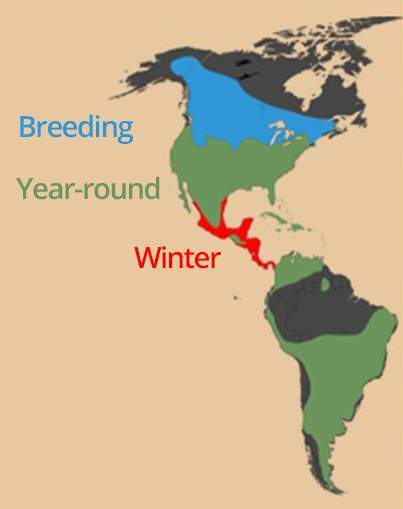 This map will enable researchers to determine where in Mexico, Central or South America the birds from the most severely declining populations are spending their winters. Armed with this information, biologists can go to these wintering sites to determine if there are any specific threats to Kestrels in the region that could affect the numbers of birds we see in the summer. 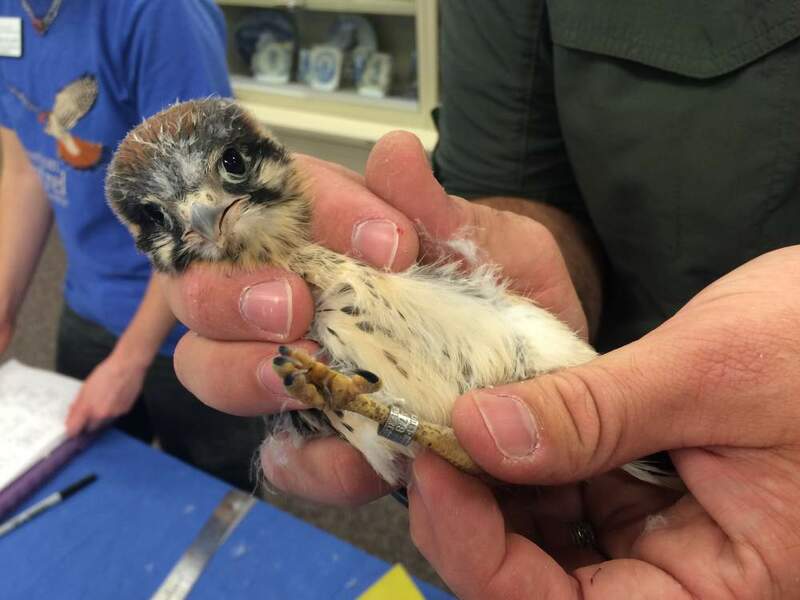 Using the combination of data from our American Kestrel Partnership and from migration maps, we are confident that we will be able to solve this mystery and proactively save a species before it becomes endangered. 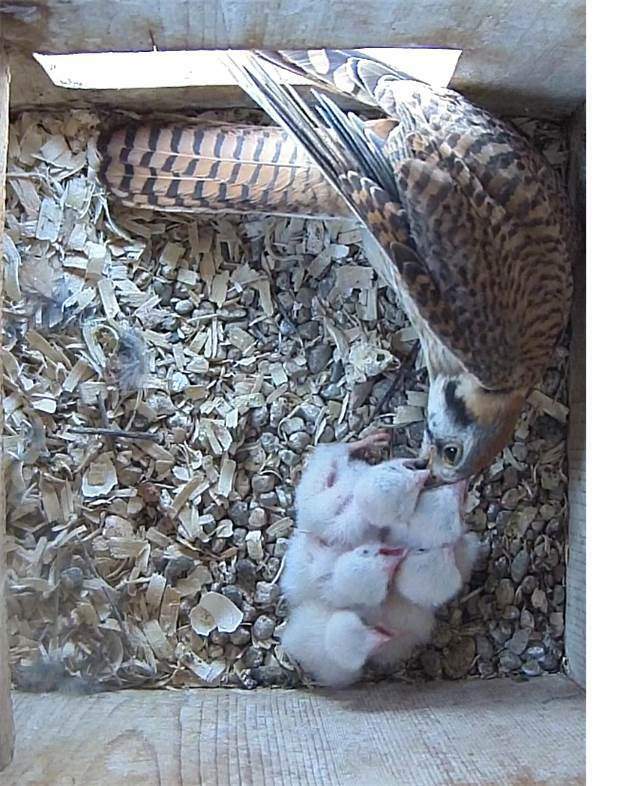 Learn more about the American Kestrel Partnership. 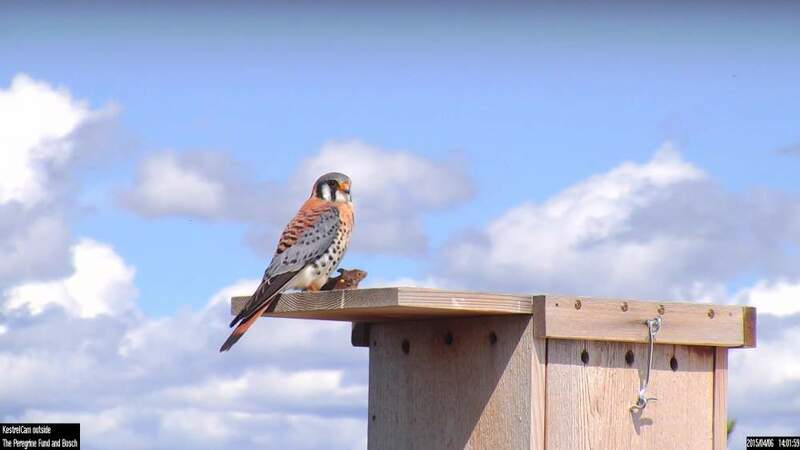 provided more than 26,000 nest observations that have enabled a better understanding of the American Kestrel’s life cycle. We have been able to rule out a number of hypotheses proposed to explain American Kestrel design through the creation of computer simulation models. These models enable us to demonstrate what would happen to Kestrel populations under different threat scenarios. blood samples across their range. These data will enable us to determine where certain populations are spending their winters and examine potential threats in the locations and along their migratory routes. Join the effort - support this project today!